Whether you’re just looking for a pleasant scent to use in a diffuser, or you’re a qualified aromatherapist, essential oils are a cheap, easy feel-good that are suitable for a range of uses. 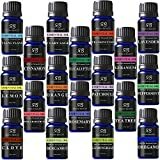 Coming in just about every scent imaginable, and ideal for blending to create unique moods and aromas, essential oils are fun and versatile, whether you’re a professional or simply like your home to smell good. Essential oils are distilled oils, or sap, from (usually) plant sources. They are often blended with a carrier oil, such as grapeseed or jojoba, to enable them to more easily be dispersed through the air, or – provided the essential oil is safe for use on skin – to be more easily absorbed by the pores. If you are using essential oils in massage, do make sure the oils you choose are of therapeutic grade, and safe to use on most skin types, and always use additional carrier oil, to help prevent sensitivity issues. Essential oils are suitable for use by anyone, male or female – some notable masculine scents include cinnamon, sandalwood, and cedar wood, while women may prefer the light, floral scents of jasmine and lavender. Lemon grass is a sharp, refreshing gender-neutral scent, which is usually used as a base scent in a perfume, with two or three more subtle scents added to it. Oils such as tea tree have antibacterial properties. Essential oils should NOT be ingested. If using on the skin, try on a small, discrete patch of skin first, to ensure there is no allergic reaction. With essential oils, a little goes a long way – you shouldn’t need to use more than five drops of oil in the average diffuser, for example. 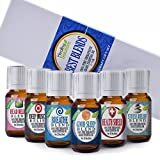 A boxed set of basic essential oils to get you started creating your own custom blends, these are natural, organic, high-quality, and therapeutic grade. It comes with 7 essential oils and 1 anxiety relief blend. These are definitely bang for the buck. They are high quality and smell great. You can use them on sprays, for your diffuser or humidifier, and for bath bomb/soap/candle recipes. This starter kit includes a selection of essential oils that blend well with eucalyptus, also included, to create pleasing custom scents. If you’re looking to experiment with creating custom blends for the first time, this is an affordable way to explore the potential of essential oils. 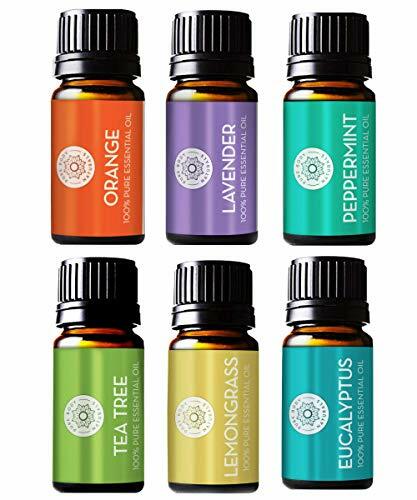 This is a starter kit of the most popular and versatile essential oils. The oils carry a strong scent, and come in good quality, attractive, and durable packaging. This kit would make the perfect gift, or an ideal treat for yourself. 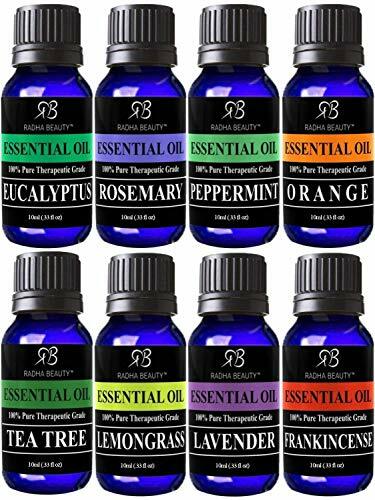 The range of oils is perfect for someone looking to really get into essential oils, including creating custom blends. Definitely worth considering as a purchase for someone just getting in to essential oils. This is a pleasant, soothing fragrance that is, unfortunately, let down by the fact that the bottle design is prone to leakage. If you’re buying for yourself, and don’t mind the leakage, this is a fairly affordable, professional blend. 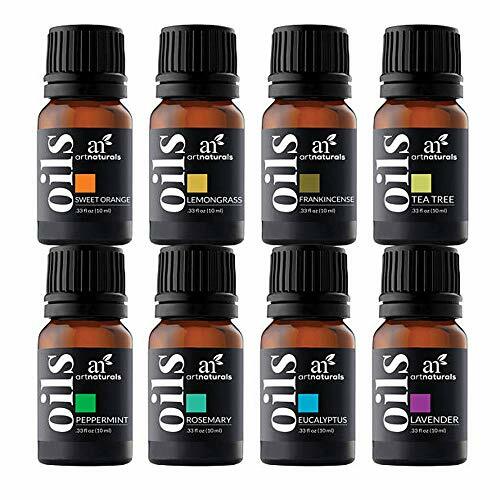 A good tester kit for someone new to essential oils who is looking to work out what their preferred fragrance is. Worth considering to get a good idea of what fragrances suit you and your home. This blend, which is designed to aid those who suffer from allergies, is also good for clogged sinuses, providing natural relief. It comes in a range of sizes to suit your needs, and has a good, strong scent. If you regularly suffer from hayfever and other seasonal allergies, or frequently experience sinus problems, this may be a worthwhile investment as part of a wider treatment regime. 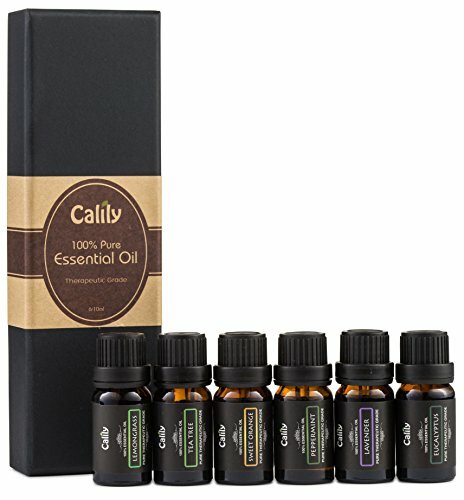 A set of six pre-prepared blends that offer a good balance of scents that are strong and long-lasting. It would be an improvement if this set came with instructions as to which blend is best for what conditions and concerns. A good investment purchase for the experienced professional. If you like lavender as a fragrance, you’ll love this pure lavender essential oil, which comes with a dropper applicator – a welcome addition for those making blends, where getting the exact quantity of each oil right is of the utmost importance. This is a strong-scented oil, that comes in a good size bottle, so should last a fair while. If you’re just after lavender, to use in a diffuser or add to a spray bottle for home-made cleaning products, then this is definitely a good value purchase. 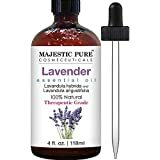 It is also a good buy for the professional who creates their own blends, if they intend using lavender, as it comes complete with a dropper for measuring out the precise quantity of oil. 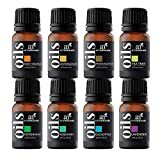 A set of six essential oils which work well in humidifiers and diffusers. This is an excellent option as a starter kit, and includes a guide for blends and general use. The oils themselves have a good, strong scent, but the bottles are somewhat flimsy. The instruction guide for creating workable blends, and usage of essential oils generally, makes this an ideal purchase for someone looking to get into working with essential oils. 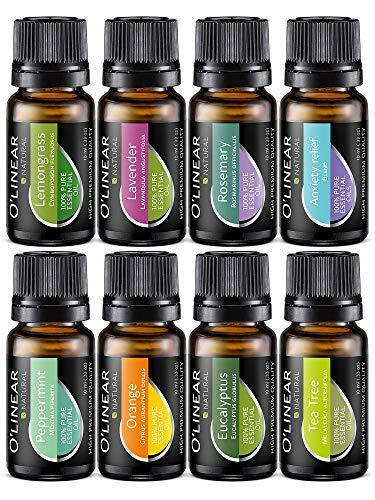 The ultimate starter set, or a perfect present for someone who enjoys creating their own essential oils blend, this set of sixteen oils provides a broad range of good, strong scents which are well packaged and easy to use. An investment purchase, but definitely worth it.